Can toi guess who the seven people in the banner of this club are? If Draco Malfoy had been raised par a different family, do toi think that he would have been a better kind of person? This is like a or mine of fantabulous fan art! 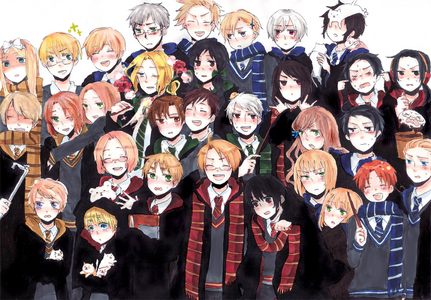 I use a lot of the pictures from this site to win hommage contests, and this was also where I found all if not most of the harry potter pictures I posté on this site. I was a little disappointed lire this because the art form in Dragon Ball Z is one of my least favorite. Now I don't want them to make Harry look like a pretty boy, but I wouldn't mind looking at a black haired, green eyed Zero. toi know what /else/ would be a good idea? a poll a été ajouté: Fantastic beasts and where to find them anime?